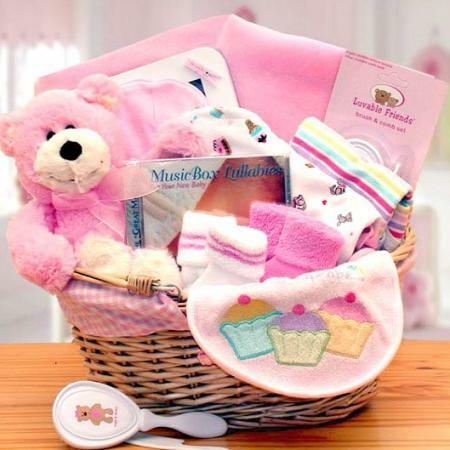 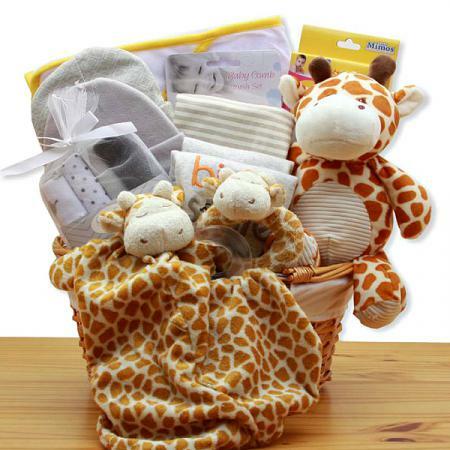 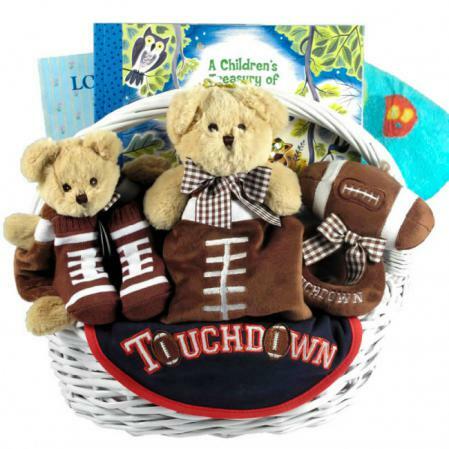 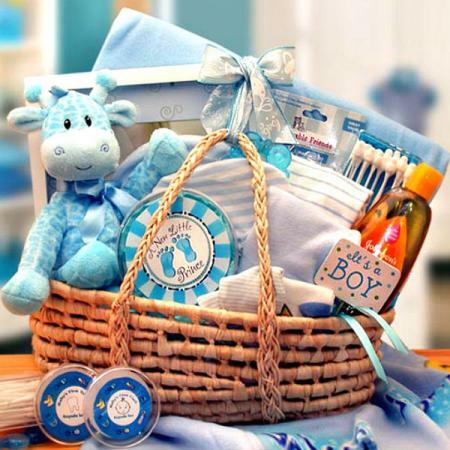 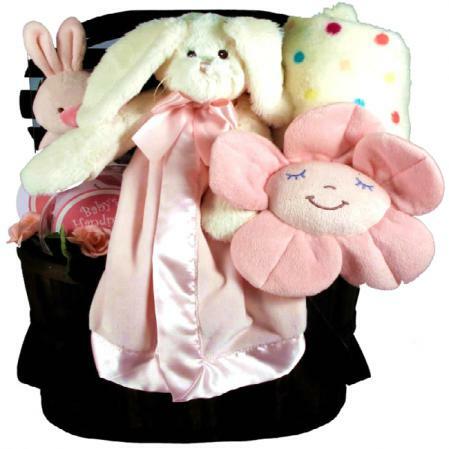 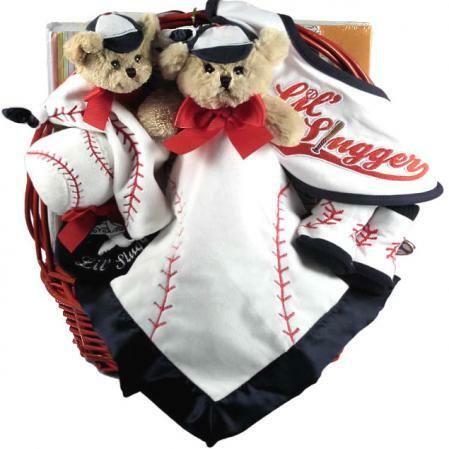 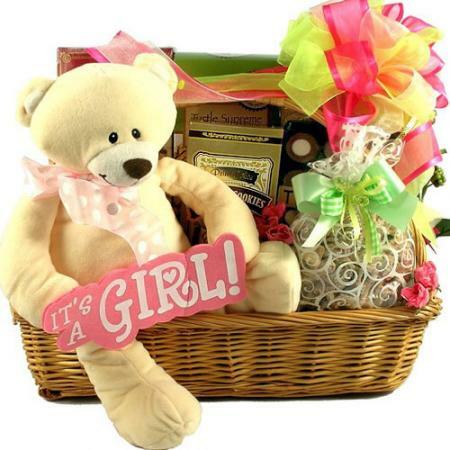 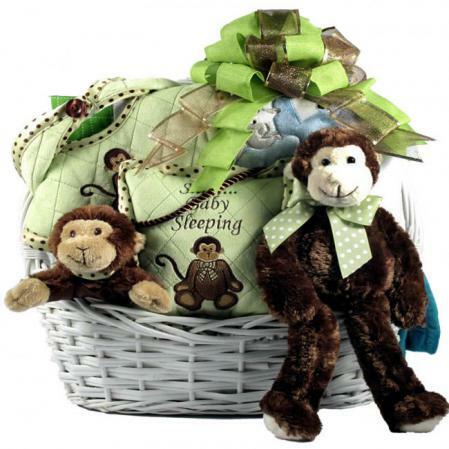 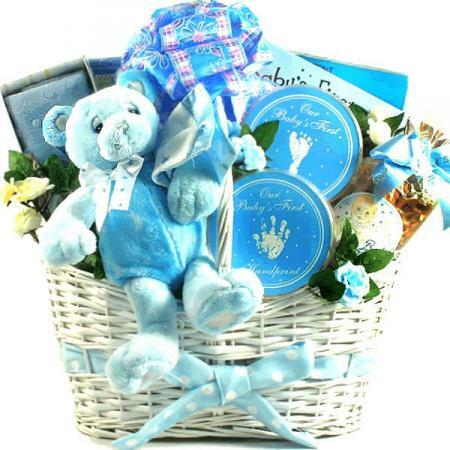 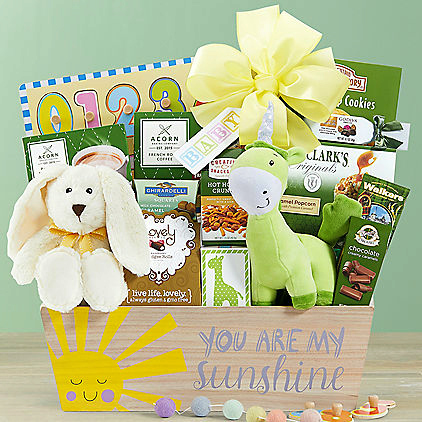 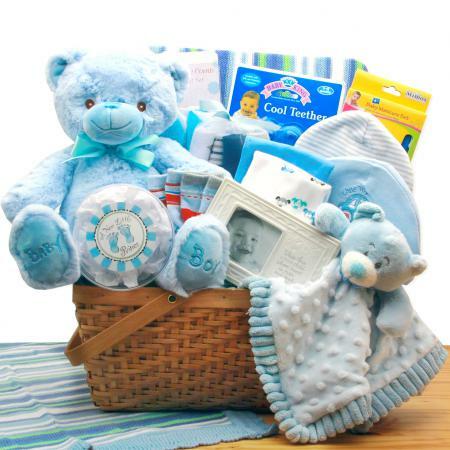 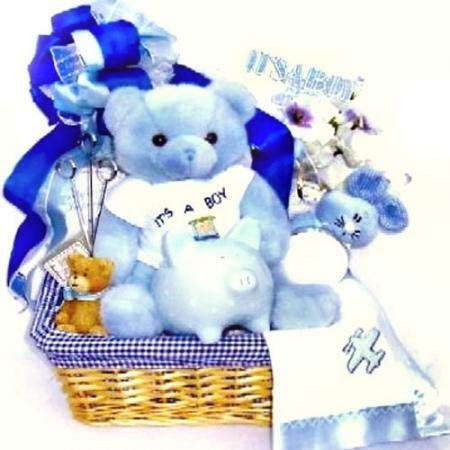 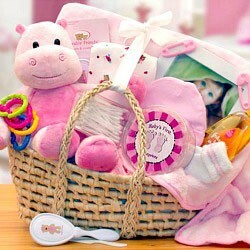 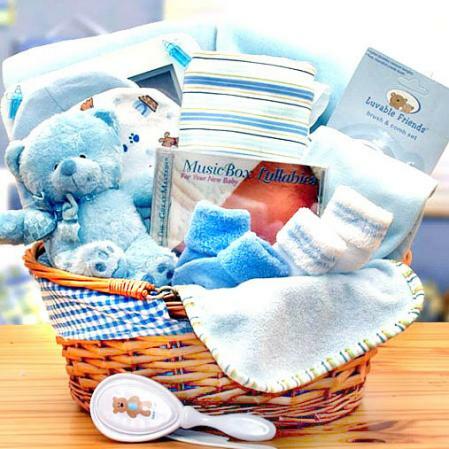 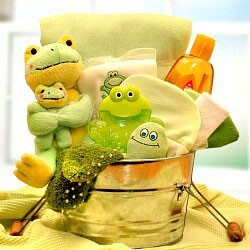 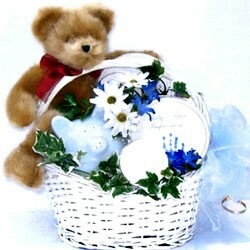 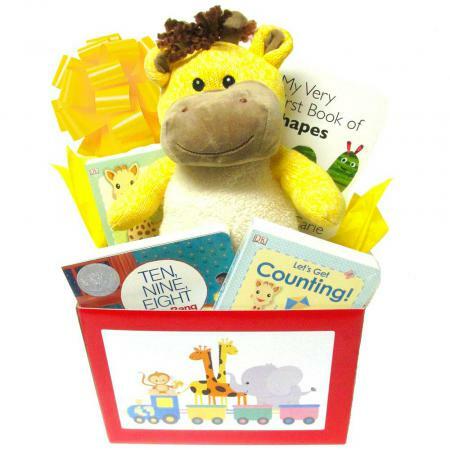 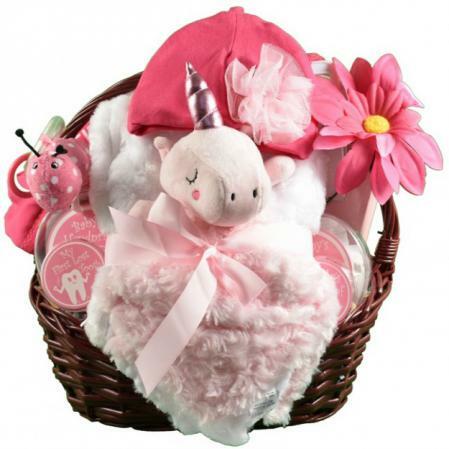 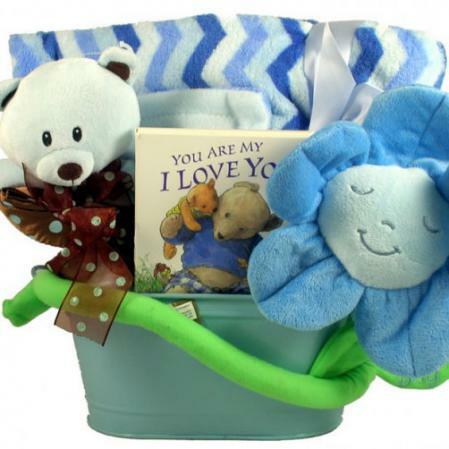 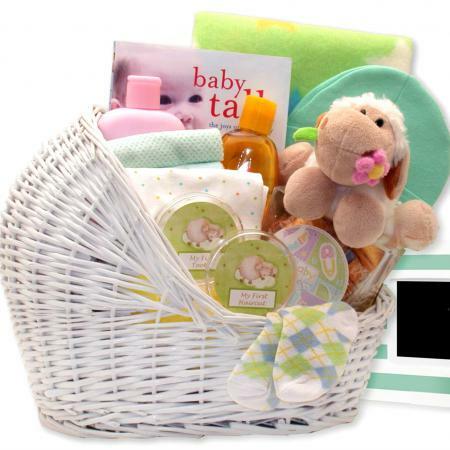 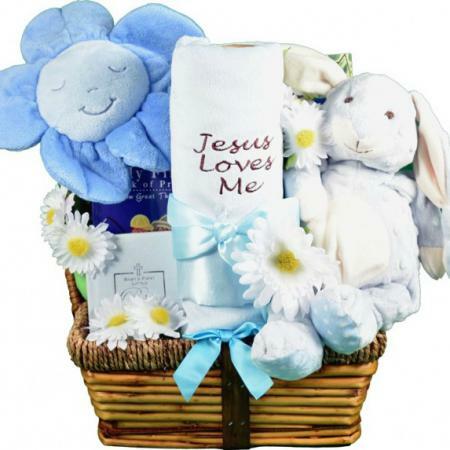 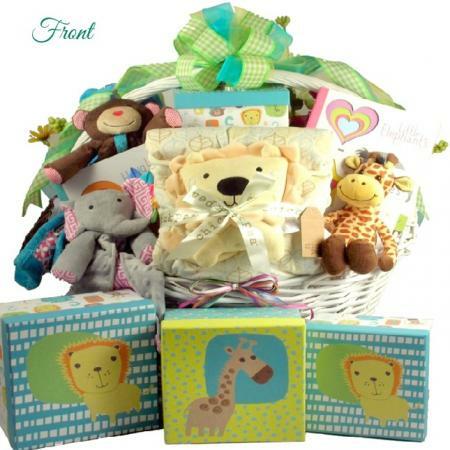 A sweet baby girl gift basket filled with a parade of adorable baby gifts to celebrate the new princess. 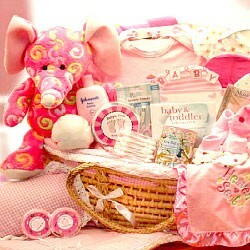 Oh, how cute can a baby be? 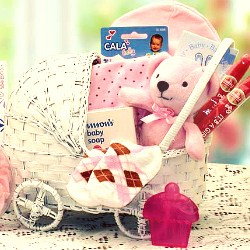 With this gift all in pink, everyone will oooh and aaah as they discover all the adorable baby items tucked inside. 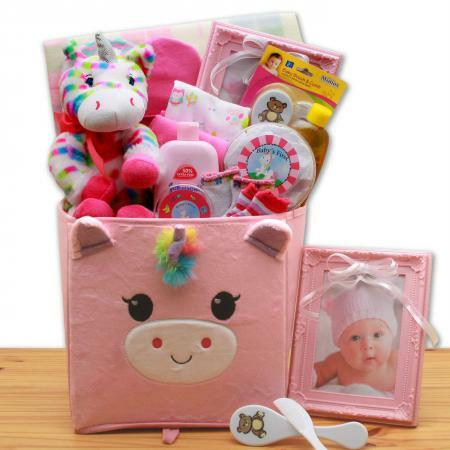 They can write messages again and again on the chalkboard on the front of this reusable and durable tin, perfect for storing baby items in the nursery. 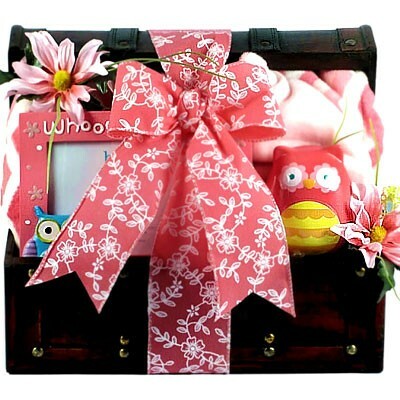 Each gift is hand crafted, shrink wrapped, tied with a handmade bow for presentation and ready for gift giving. 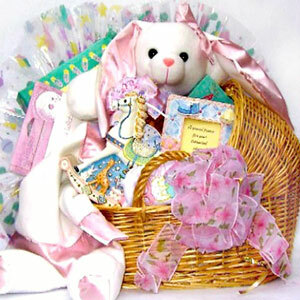 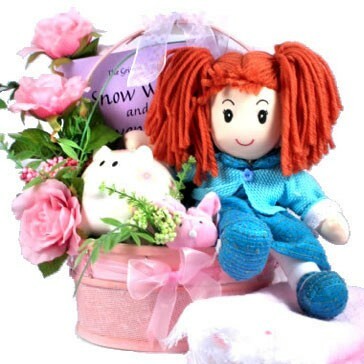 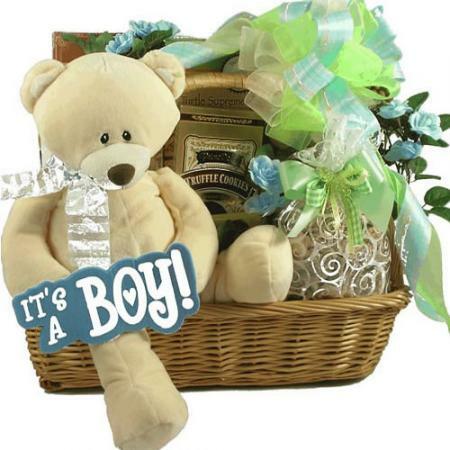 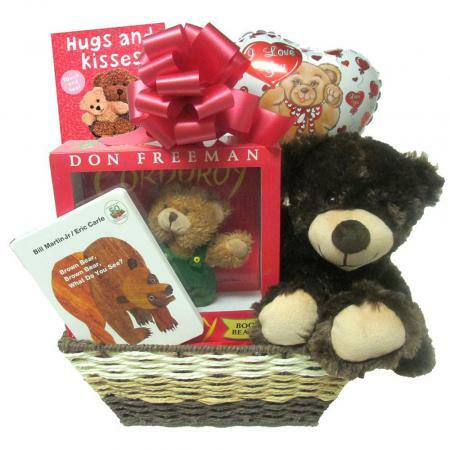 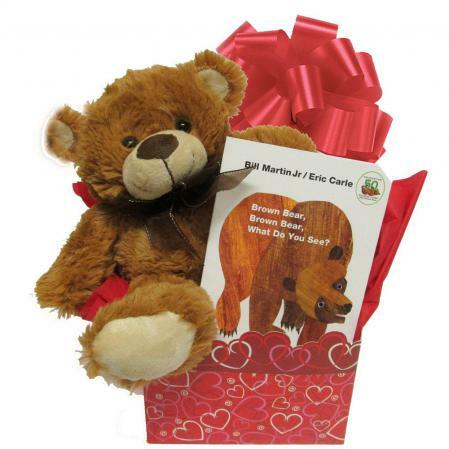 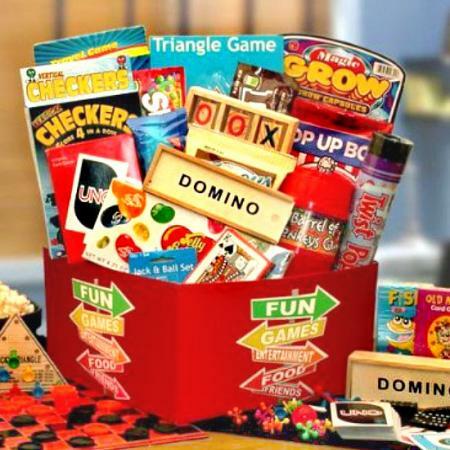 Our gifts are all handmade and created by gift basket artisans. 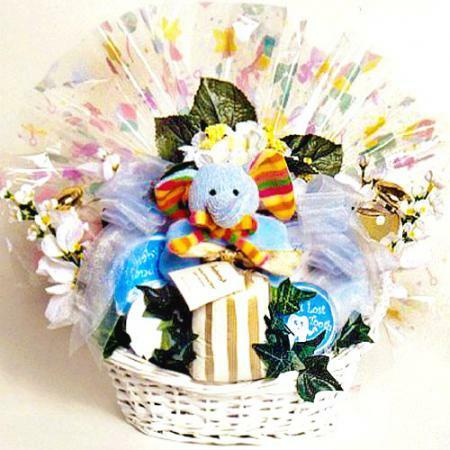 Every gift basket is hand crafted, hand wrapped in cellophane and created when you place your order to become a one of a kind creation. 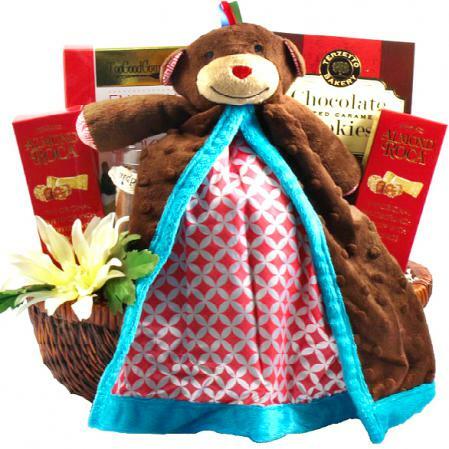 The gift comes wrapped in cellophane, topped with a handmade bow and measures 9" long by 4" wide and 11" tall.